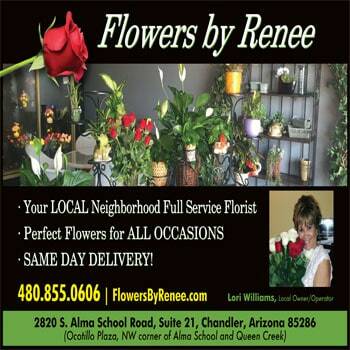 Flowers by Renee proudly serves and delivers daily to Sun Lakes, Chandler, Gilbert, Tempe and South Mesa. We have been family owned and operating for over 20 years. We are committed to offering only the finest, fresh cut floral and plant arrangements, backed with customer service that is friendly and prompt. We have a professional team of designers with over 64 years of combined experience dedicated to exceed your expectations with any floral project. Come in and let us show you why we are the most trusted florist in Chandler. 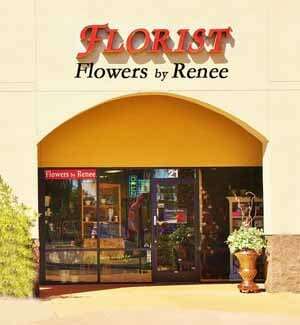 Let Flowers by Renee be your local florist you can depend on for quality service and same day delivery. *Monday-Friday - 8:00 a.m. to 5:30 p.m.
To help assure on-time delivery during the busy holiday season, place your order at least one day prior to the following major holidays: Thanksgiving Day, Christmas Day, Valentine's Day, Easter, Administrative Professionals Week, and Mother's Day. Our shop will be closed on the following holidays: Thanksgiving Day, Christmas Day, New Year’s Day, Easter, Memorial Day, Fourth of July and Labor Day. NW corner of Alma School & Queen Creek Rd. We are unable to make deliveries on Sundays except by prior arrangement. Deliveries requested on this day will generally be delivered the following business day. Occasionally, substitutions may be necessary to create your bouquet due to the availability of certain flowers in various parts of the country. 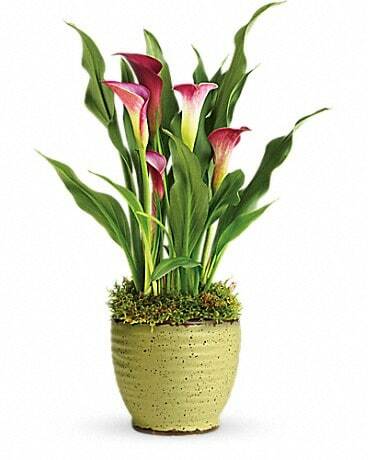 Care is taken to maintain the style, theme and color scheme of the arrangement, using flowers of equal value. Additionally, the substitution of certain keepsake items may be necessary due to increased demand, especially during major holidays. In single-flower arrangements, such as an all rose bouquet, or orchids, we will make every attempt to match the flower type, but may substitute with another color. Our goal is to exceed your expectations and we honestly attempt to do this on every order.